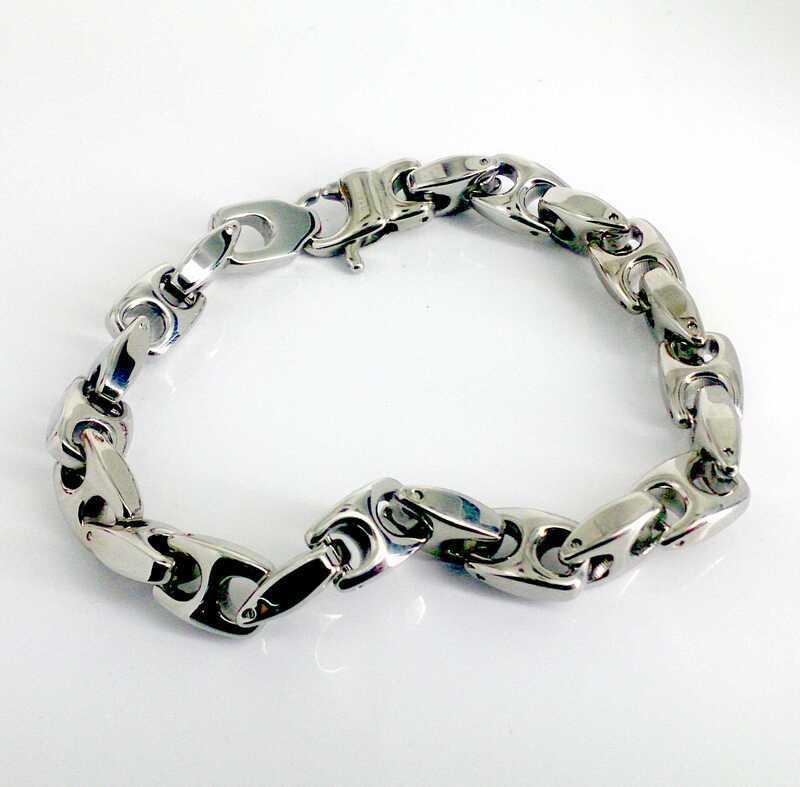 PULSERA FABRICADA EN ACERO INOXIDABLE CON ESLAVONES DE MUY ELEGANTE Y RESISTENTE. SU CIERRE ES UN CIERRE RESISTENTE Y FUERTE DE MOSQUETON DONDE LLEVA GRABADO EL NOMBRE DE LA MARCA A LASER. SU LONGITUD ES DE 23 CM AUNQUE SE PUEDE ACORTAR AL GUSTO O NECESIDADES DEL USUARIO.